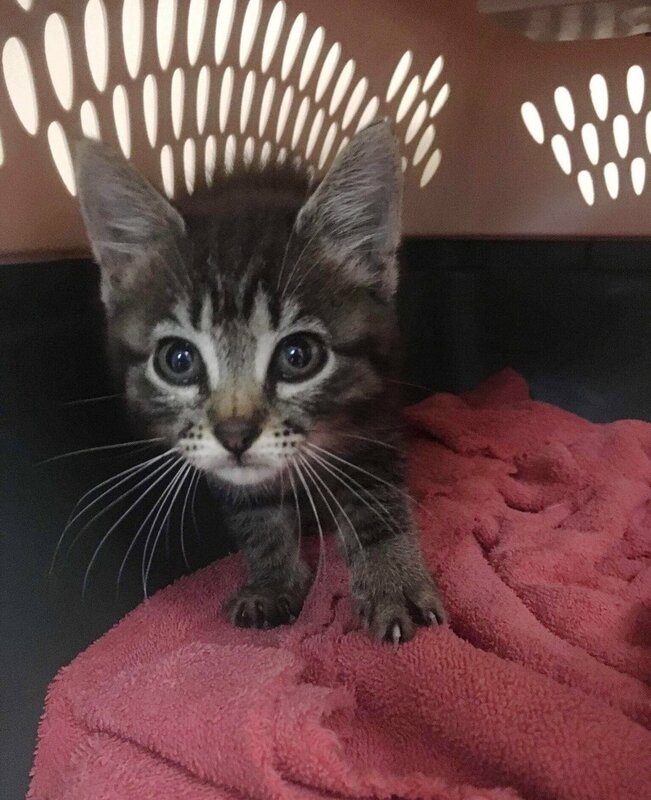 Staff at a local Pharmacy in Laurel, Mississippi was stunned to see a kitten trying to get inside. 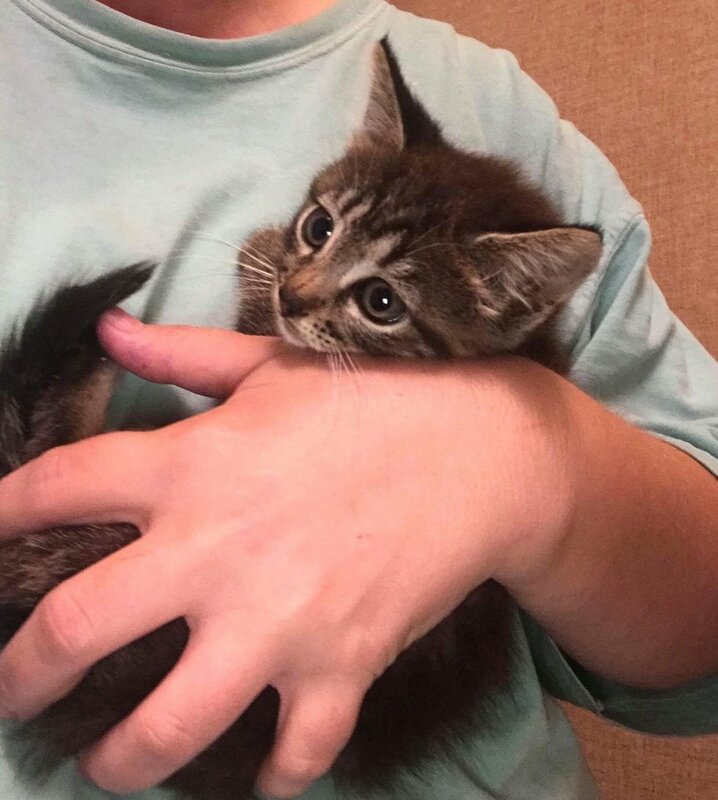 The kitten was found dragging both of her back legs, looking for someone to help her. 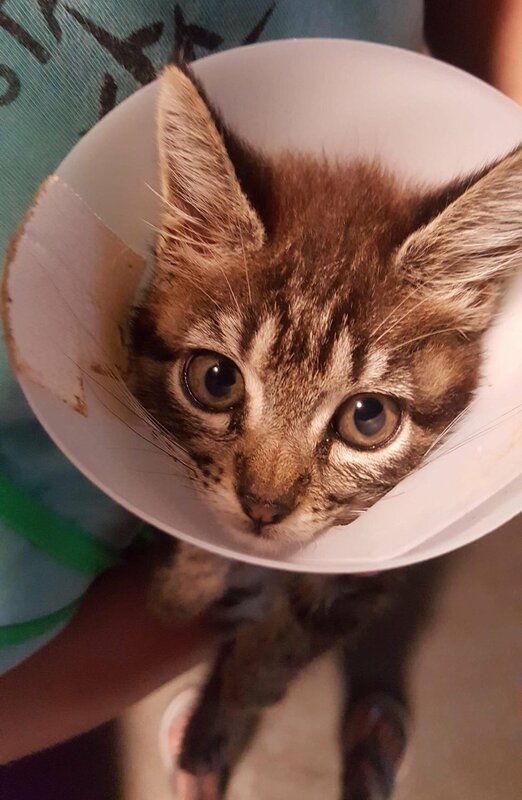 A week ago, Southern Cross Animal Rescue (SCAR) was contacted about a kitten (Quinn named after the Pharmacy) needing urgent help. “Quinn was spotted by one of the employees of the Pharmacy, frantically trying to come in the door. She was obviously scared, injured and possibly feral,” Anna Norris of SCAR told Love Meow. 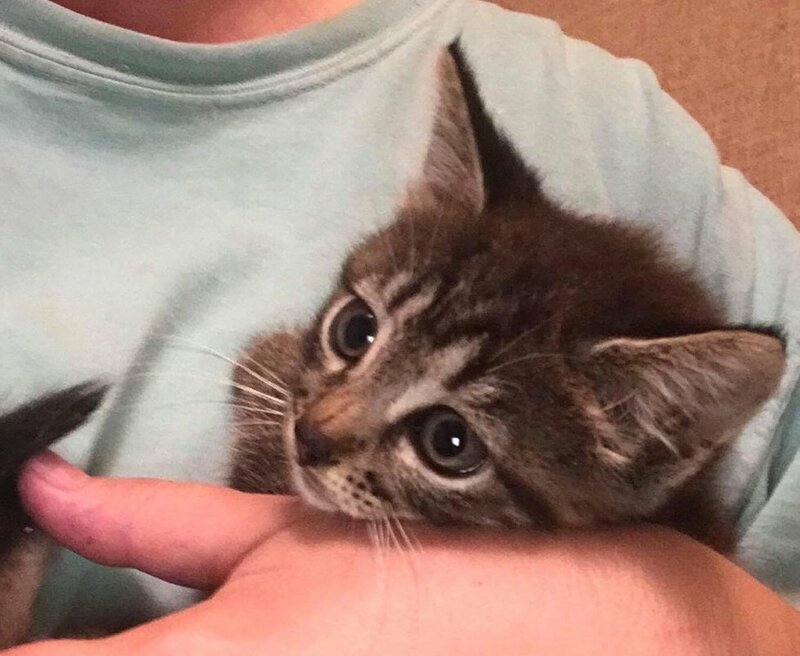 They placed her in a foster home for the night so the kitten could get some much-needed comfort in a safe, warm environment. She was very fearful and stayed hidden but couldn’t resist food and love. “She was so overwhelmed and terrified by whatever she had been through. Her fosters were very patient and sweet, and she opened right up to them,” Anna told Love Meow. They were able to take a good look at her back legs. Once the kitten felt comfortable, they took her to the vet and her condition was assessed. “Her right femur was broken and would require a pin to set it in place surgically, and she also has torn ligaments in her other leg that should heal well on their own. 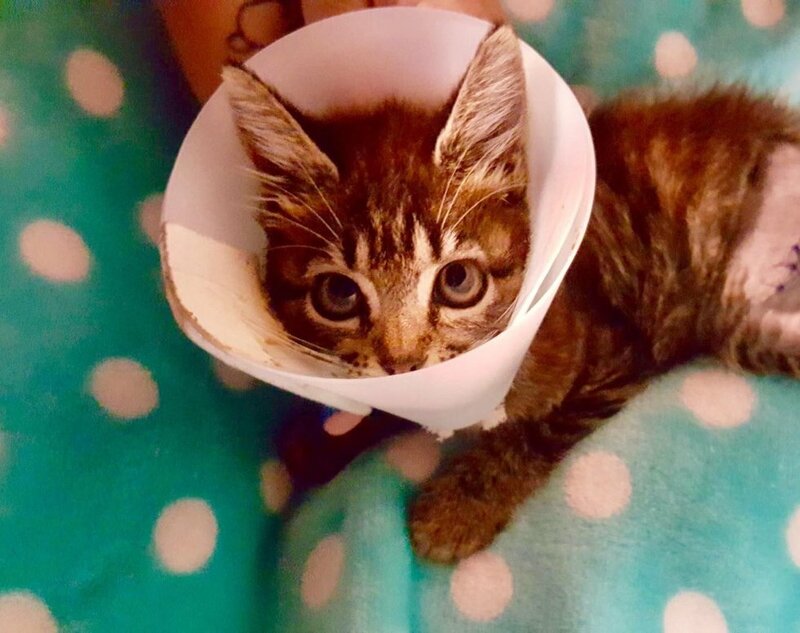 With her being young and a relatively healthy kitty, she should make a full recovery and grow into a loving adult cat with little to no signs of her previous injuries,” Anna told Love Meow. The kitten was doing so well that she was released early from the vet. She will have her stitches removed next week and spend the following several weeks recovering in the comfort of her foster home. As for now, Quinn is purring and getting lots of love and pets from her foster family. The sweet tabby girl did what she could to survive. Her bravery saved her life and the good folks at the rescue are determined to help her recover fully and find a forever, loving home that she so deserves. Share this story with your friends. Follow updates on Quinn on Facebook. If you would like to support their rescue efforts, click here to see how you can help.